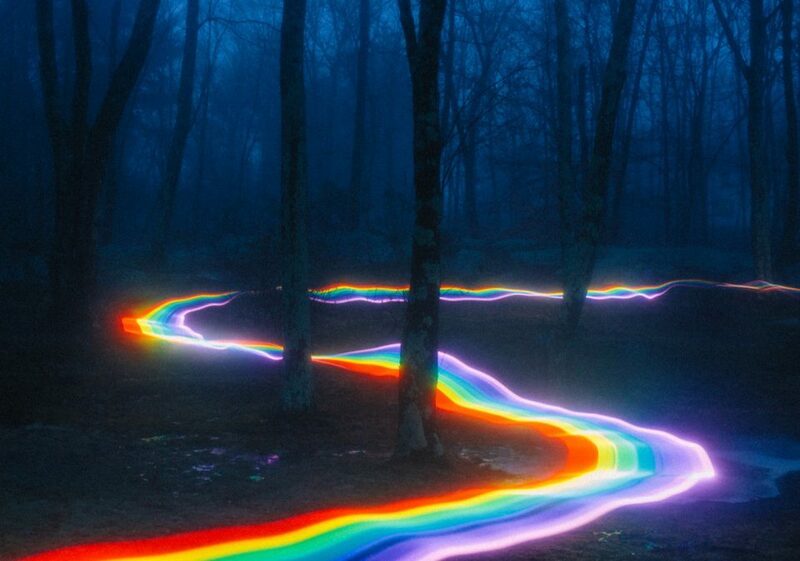 The rainbow first appears in a dark and mysterious forest. It travels throughout the many diverse landscapes of California, skips all the way down to the lush jungles and weathered alleyways of Guatemala, reappears briefly on the West Coast and then finds its way to Connecticut before encircling Mercadante’s wife and creative partner, Katina Mercadante, in celebration of their anniversary. Happy Anniversary to this magical dream of an ethereal being. 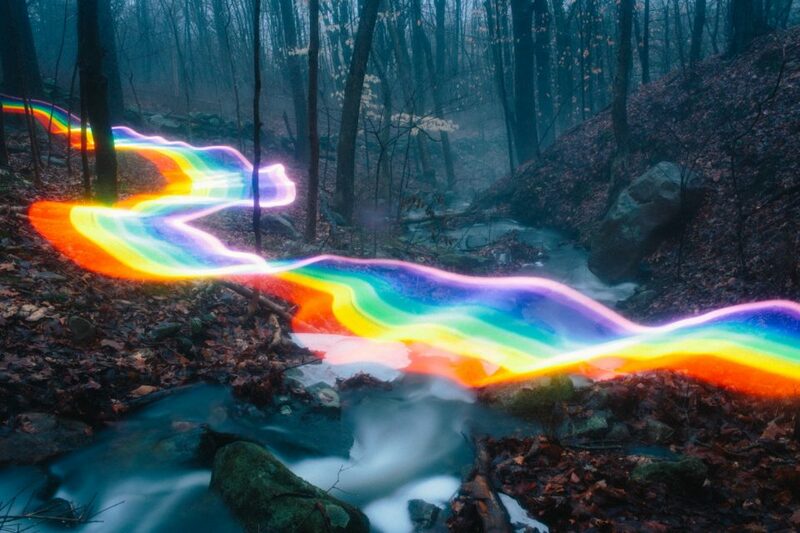 Often found somewhere near rainbow road with a mythical woodland beast. 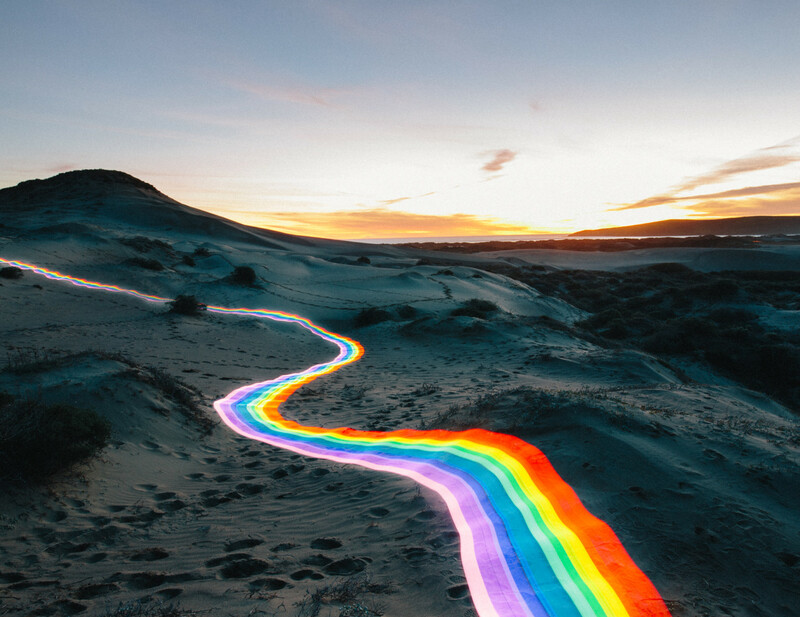 @atinaka I love you. . . . #rainbowroad #rainbow #love #womansbestfriend #magic #imagination #art_spotlight #somewheremagazine #imaginarymagnitude #popmyeyes #thepinklemonade #lovewatts #watts #love #? 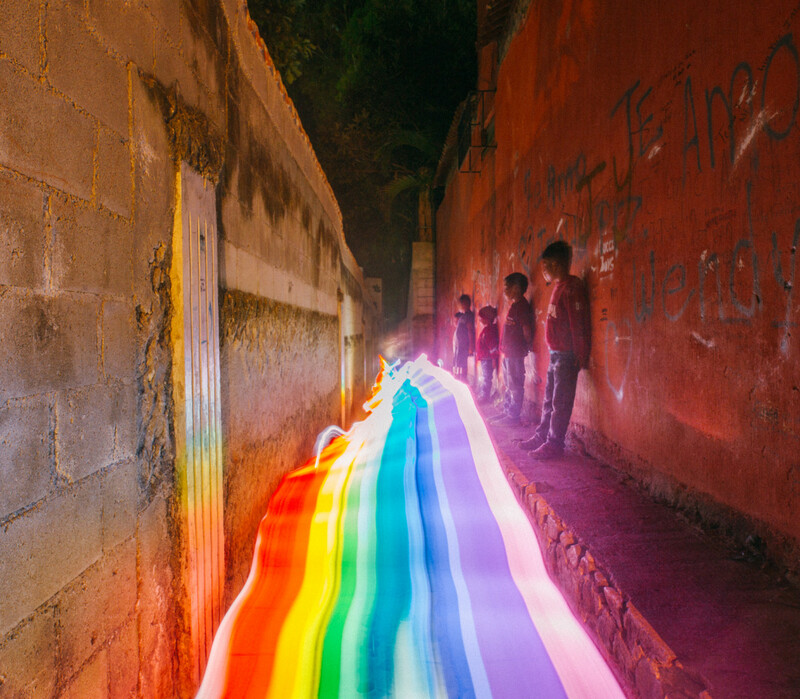 The project is a gorgeous example of just how magical long-exposure photography can be. 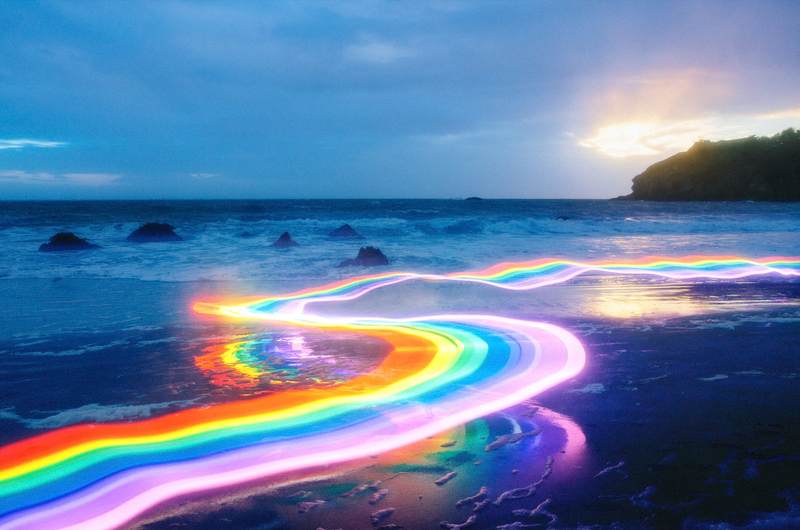 It’s so simple to make – you just wave sources of light against a darkened backdrop while keeping the camera shutter open longer than usual – yet it seems to open a portal to another universe. Check out the Mercadantes’ Instagram to see the whole journey, or their website for their collaborative film projects.